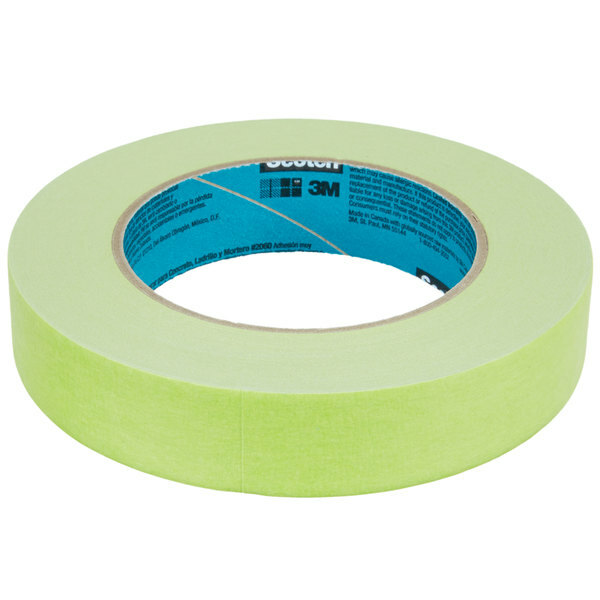 A convenient and versatile tool, this 3M 2060-24A Scotch® 1" x 60 yards green masking tape is an ideal addition to offices, warehouses, and construction sites! It boasts a super-strength adhesive that's designed for use with lacquer coatings and in cool temperature environments. Whether the desired surface is rough and uneven like stucco, concrete, or brick, this tape is sure to stick. This tape conforms well to most surfaces and produces excellent paint lines when used as painter's tape. Its 60 yard length provides an ample supply for long-lasting use, and its construction makes it easy to tear off the desired length every time you need it. Plus, it removes cleanly up to 3 days after it's applied. 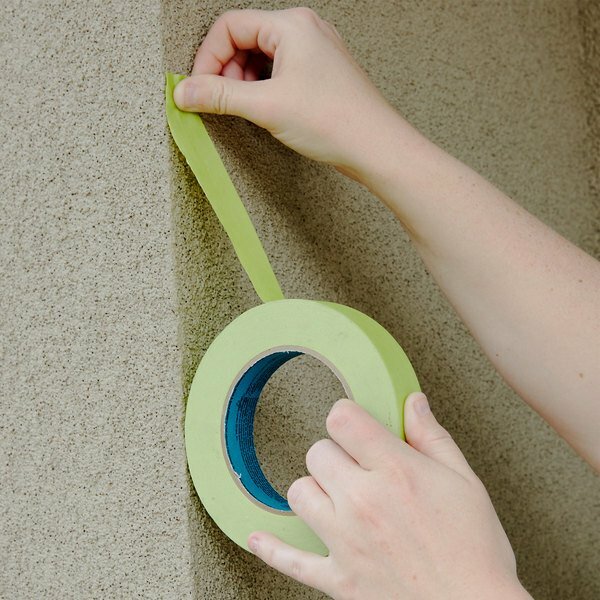 Use this green masking tape to complete a variety of projects! Love the price and color of the tape. It really helps our kitchen with cross contamination since my business is very strict on helping people with food allergies and sensitivities. I use this tape for labeling basically everything in my kitchen. It lasts a very long time, holds it's place much better than the blue masking tape. 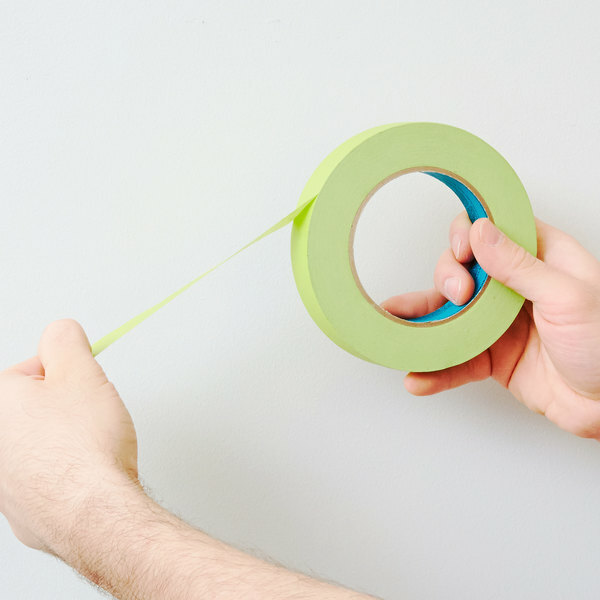 3m green masking tape has a super strong hold and stickiness. It is an amazing tape to use as a painters tape for clean lines. 3m scotch one inch green tape has an amazing grip and adhesive. You can really use this tape for just about anything or for any home projects as well. Best tape for labeling because it does not leave a sticky residue when you peel it off. Sticks well to all materials and has a bright green color so you can easily see it. Great sticking tape! As many of you know this is NOT easy to claim with most tapes out there. Love the bright color. Labels pop off containers and can easily read. This is really great tape to have around that is useful for most taping jobs. These are great to have around any home or office. This tape is great quality. It will adhere to most surfaces. It can be used when paining, marketing construction sites, and even in the kitchen. 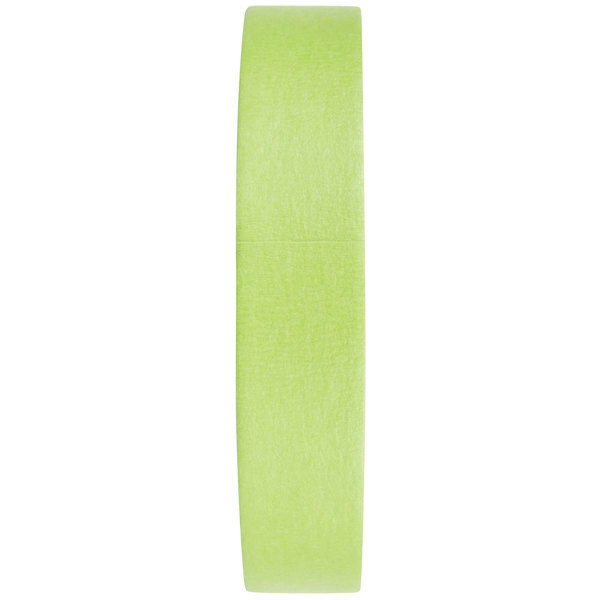 The tape is 1" wide and features a green color. Very useful and quality product. This is nice masking tape for most any painting application. Sticks well but is easy to remove. This 60 yd roll is a great value! 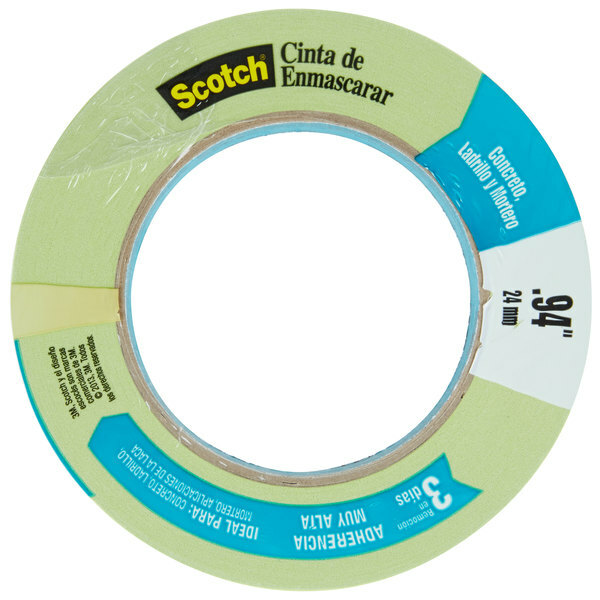 This 3M Scotch one inch by sixty yard Green Masking Tape is great and I would definitely recommend. The tape is easy to tear and the adhesive has worked very well. I would like to see bulk purchasing options available in the future. I would order again for the reasonable price. This tape is great for a lot of situations, but it's definitely most useful for painting. Stays on easily, but it's also no issue removing it. like a lot of chefs, i use tons of green tape for labeling containers and what not in the kitchen. this is the common brand because its easy to find, it works well and doesn't leave any sticky residue on containers or anything. it's a solid product.